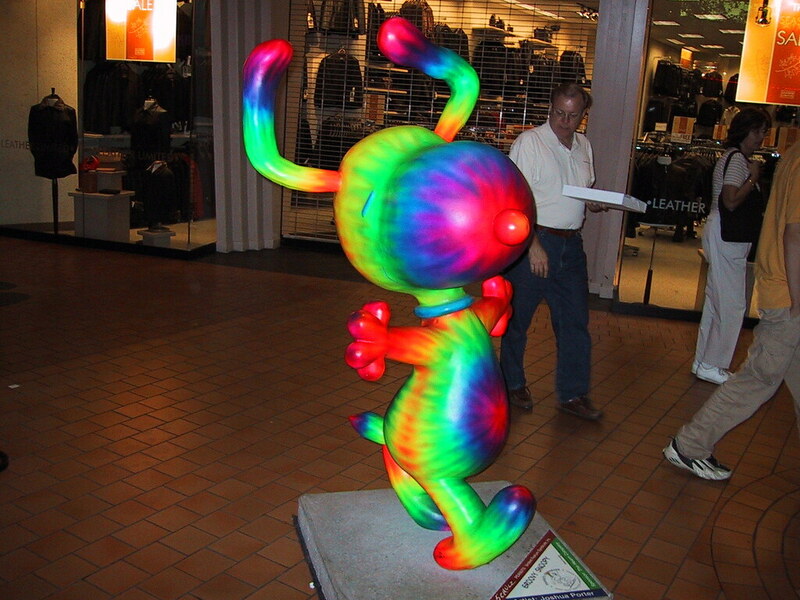 Remember when fiberglass statues of Peanuts characters - particularly Snoopy - were all the rage in the Twin Cities? Yeah, this photo taken September 29, 2000 at Bloomington's Mall of America captures the craze nicely. I totally remember this. But I was about 12 when this was going on. It was amazing to see them all around the cities. Camp Snoopy will be forever missed by those who knew about it.